Quiet rooms designed in soft pastel tones, comfortable furnishing, light and spacious atmosphere. Suitable for single or double accommodation. The stunning view from the spacious balcony over the picturesque town of Tryavna has a wholesome and relaxing effect. 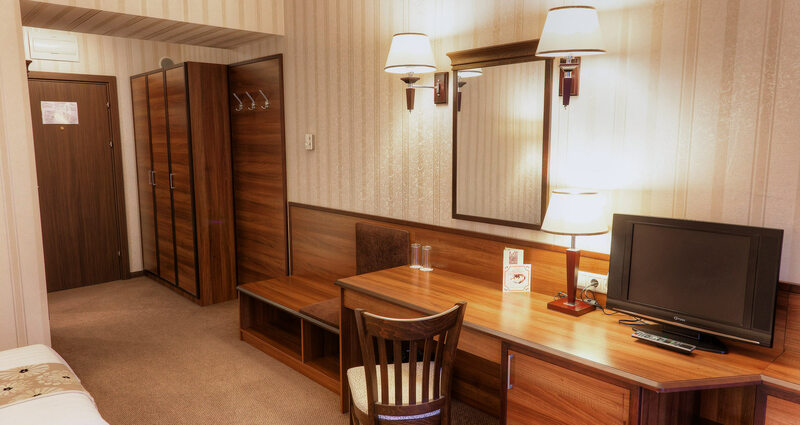 The price includes breakfast, fitness, heated indoor swimming pool (25-27°С), underground parking lot or outdoor parking places next to the hotel, tourist tax and insurance.